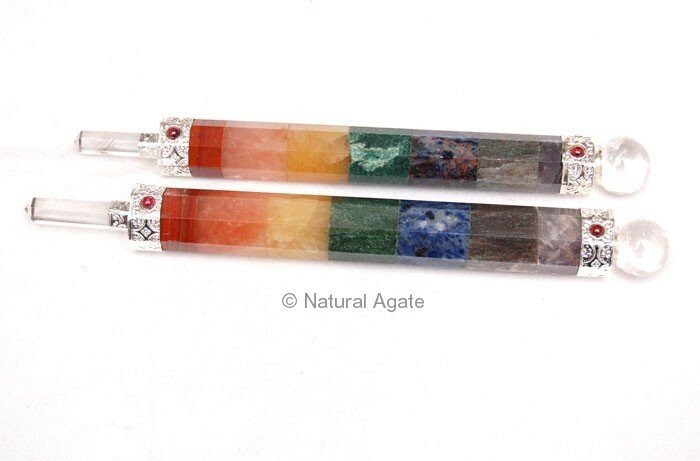 Natural Agate offers Chakra Faceted Wand. It is 3-7in long. It revives body chakras and ensures their proper functioning.